Dating back to 1888, Belk, a leading department store, has progressively grown its chain from 1 to 297 locations across 16 Southern states. The highly competitive retail industry motivates store management to continuously find innovative solutions that help them meet the demands of their shoppers and ensure delivery of a “wow” customer shopping experience. With the meteoric rise of online shopping eating up a large share of consumer dollars, storefronts and customer traffic have declined. This has forced retailers to adapt and find cost effective ways to reduce building overhead costs and to follow sustainable operation guidelines. Keeping overhead costs, like HVAC expenses, down for their 22.65 million square feet of bricks and mortar selling space allows Belk Department Stores to focus more of their budget on the important emotional aspects of retail, including time saving technology and creative/well-organized merchandising, of their positive customer experience. A pleasant store environment and ambiance that is soothing and inviting to the senses is a critical part of delivering a positive customer experience. Especially true in the surging heat and humid conditions of Southern climates, where beating the heat by strolling the air conditioned aisles of a department store is a favorite past time. While a prime store location and floor plan can be carefully planned based on available analytical data, the outdoor environmental elements can’t. Outdoor environmental conditions can be a costly HVAC maintenance expense. Belk’s 260,000 square foot flagship store, located in Charlotte’s South Park Mall utilizes SPX Marley cooling towers situated on their rooftop for general retail cooling. Large old trees grew to rise above the roof area, causing the cooling tower air intakes to draw in debris and leaves, which continually clog the system strainers and cause system failure. Aaron Meier, the national accounts manager for Permatron, introduced Belk management to PreVent® filter screens for outdoor air intake protection. 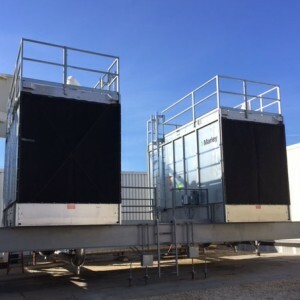 Meier measured Belk’s rooftop units, and coordinated with Bruce Air Filter, a Permatron distributor based in Charlotte, to install the PreVent® screens on the front and back air intakes of each tower. At $1,500 per service call to get the systems up and running each time the strainers clog, the air intake screens ROI paid for itself immediately. Birds are a part of nature’s great outdoors, and seek shelter from the elements. Belk’s 160,000 square foot store located in the upscale Dallas Galleria also uses SPX Marley cooling towers for store cooling. Unfortunately, fresh air intakes are an irresistible place for pigeons to build their homes. Nesting materials and feathers contributed to clogged strainers and system failure. Tex-Air, another filter distributor for Permatron with offices in Dallas, installed PreVent® screens on the cooling tower air intakes. 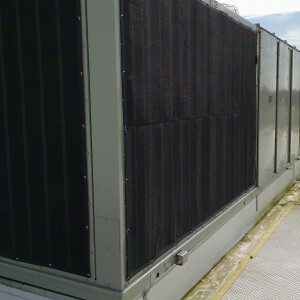 Belk was spending $3,000 each month in system cleaning expenses before they started using Permatron’s air intake screens to keep the birds and other debris out of their cooling systems. The development of a 471-acre mixed use community, Juban Crossing located in Baton Rouge, features a new 75,000 square foot Belk store as one of their retail anchors. 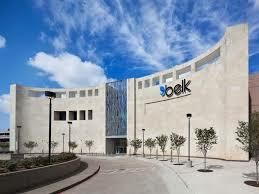 With only the first phase of construction complete, Belk management decided to protect their HVAC equipment investment. 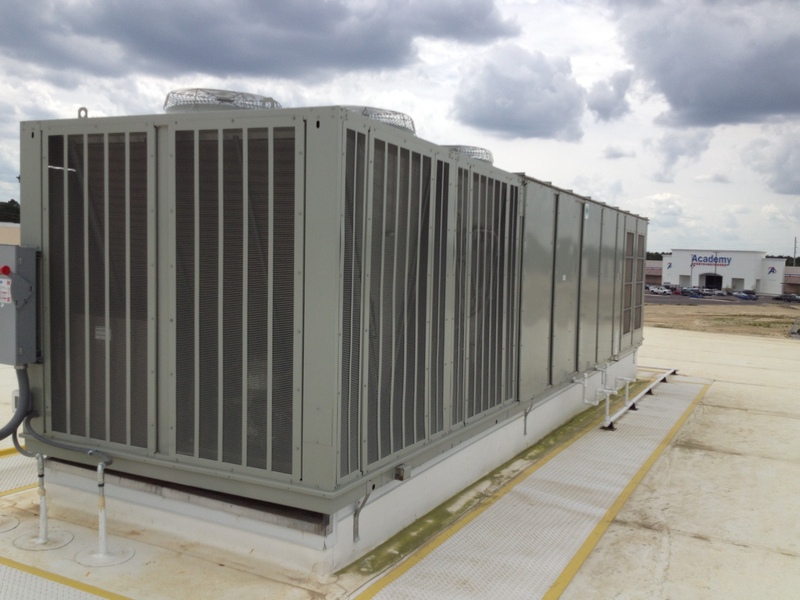 This site has five, 100 ton and smaller Trane units installed on their rooftop to supply store cooling. Construction dirt and surrounding environmental elements would be drawn into the air intakes on the units, and clog fin coils, making them run harder and longer. Permatron representative Aaron Meier, measured the units and coordinated with the Jones Lang LaSalle facility manager hired by Belk for this location. 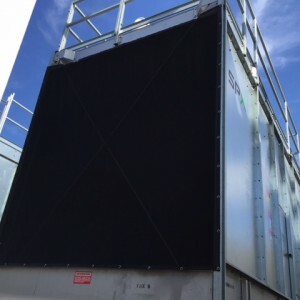 Installation of PreVent® screens kept the disposable interior panel filters clean 6 months later, yielding Belk significant savings in maintenance and materials. Post construction these intake screens will continue to keep maintenance costs down and reduce potential breakdowns. According to Belk facility management, PreVent® air intake screens are working well to keep the cooling systems running clean and efficiently to support their valuable bricks and mortar selling space. Custom made with multiple finishing options at a reasonable price and easy to install and wipe clean with a broom, Belk’s return on investment using air intake protection has proven itself an innovation cost saving solution.